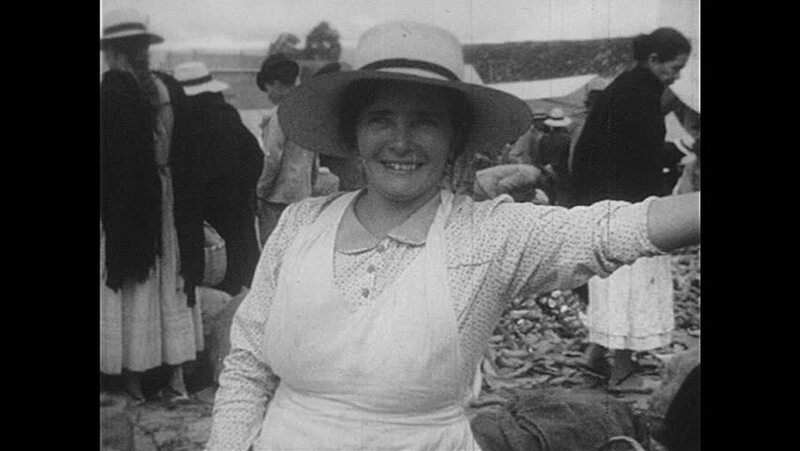 1940s: Woman standing in marketplace with arm outstretched. Girl eating food. Boy sits on ground. Woman is talking. Girl in market. Woman holding child. Rooster riding on horse. hd00:301940s: Women work in factory, sew and assemble parachutes. Woman looks through microscope. sd02:521940s - A WWII era silent film describing how Americans can help the war effort at home. hd02:02CIRCA 1940s - A demonstration shows the greater ability of American submachine guns over its German counterpart, the Schmeisser, in 1943.
hd01:06CIRCA 1920- International dignitaries arrive by car at the installation of the Permanent Court of International Justice. hd00:32CIRCA 1918 - The captain of a freighter inspects a damaged ship component.